This book explains how presidents achieve market-oriented reforms in a contentious political environment. 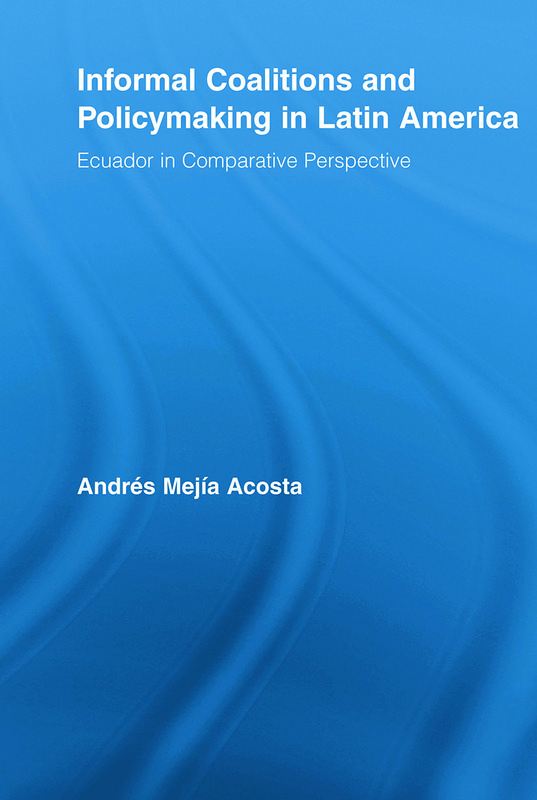 Using an impressive amount of quantitative and qualitative empirical evidence, most of which is reported for the first time, Mejía Acosta argues that presidents in Ecuador adopted significant reforms by crafting informal yet functional coalitions with opposition parties in congress. This pattern of success is particularly relevant in a country known for its chronic political fragmentation and deep regional and ethnic divisions. Paradoxically, the adoption of constitutional reforms to promote governance undermined the success of informal coalitions and directly contributed to greater regime instability after 1996. Mejía Acosta's work offers a compelling analysis of how formal and informal political institutions contribute to policy change. His far-reaching conclusions will capture the attention of political scientists and scholars of Latin America.